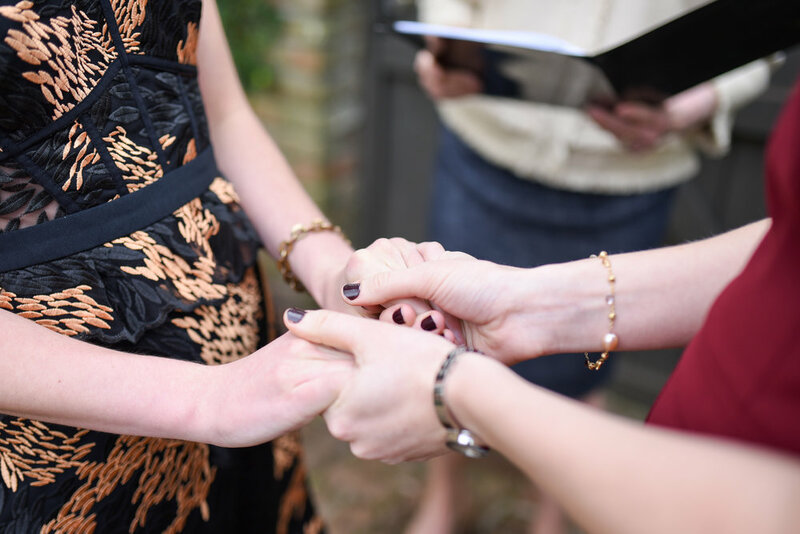 Eva & Laura get married in New Orleans with an intimate courtyard ceremony in the Garden District. Live oaks provide the perfect canopy for the blissful union, red bricks under six sets of feet, passersby beyond the fence clueless to the magic happening on the other side of the gray door. Dressed to the nines, Eva & Laura are accompanied by their parents, but every guest has their own special part in the ceremony. It felt so special to capture all of the unique moments of the wedding, but my favorite was the tea ceremony. 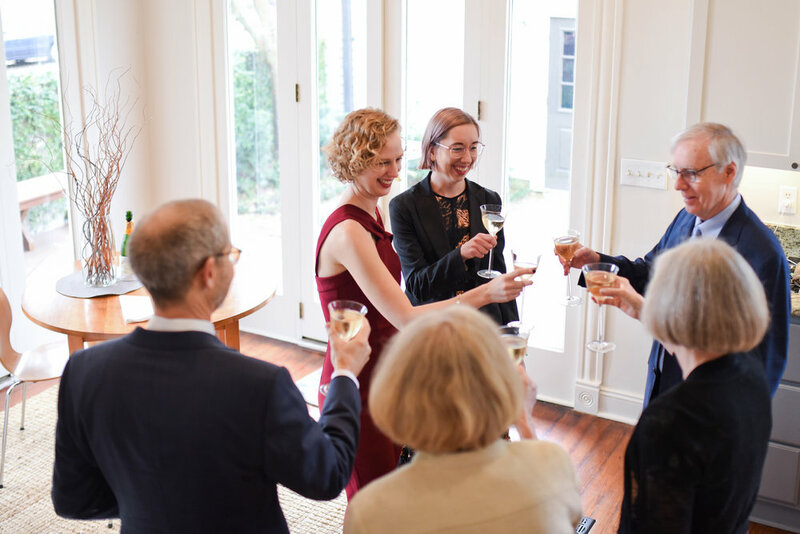 This Chinese ceremony involved the brides serving tea to the other’s parents to symbolize the important moment when the families become relatives. 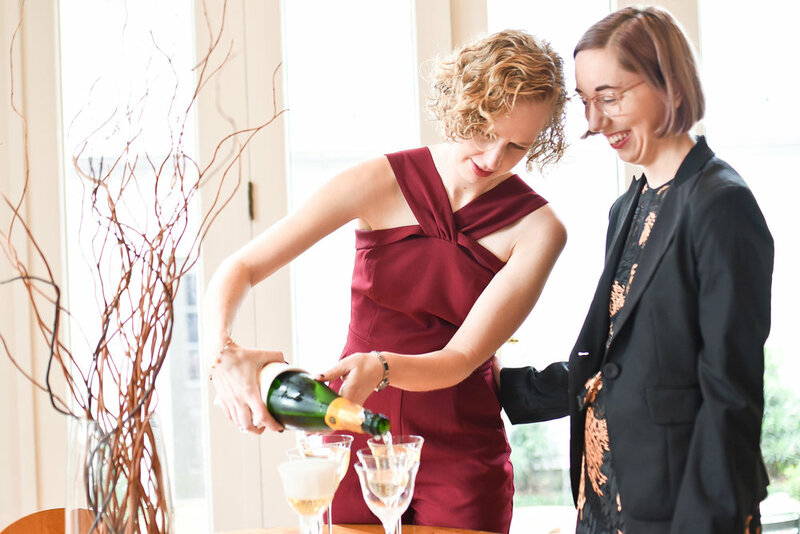 Eva and Laura also included the Jewish wedding tradition of “breaking the glass.” This generally happens before the ceremony comes to a close and is performed as a dedication to the havoc of the Temple of Jerusalem. The “breaking of the glass” is also thought of as a way to deconstruct any obstructions that might exist between the couple. After a few more carefully chosen, precious words spoken by their loved ones, the couple smiled sweetly at one another, held hands, and kissed to seal the deal. What better way to celebrate than champagne!? 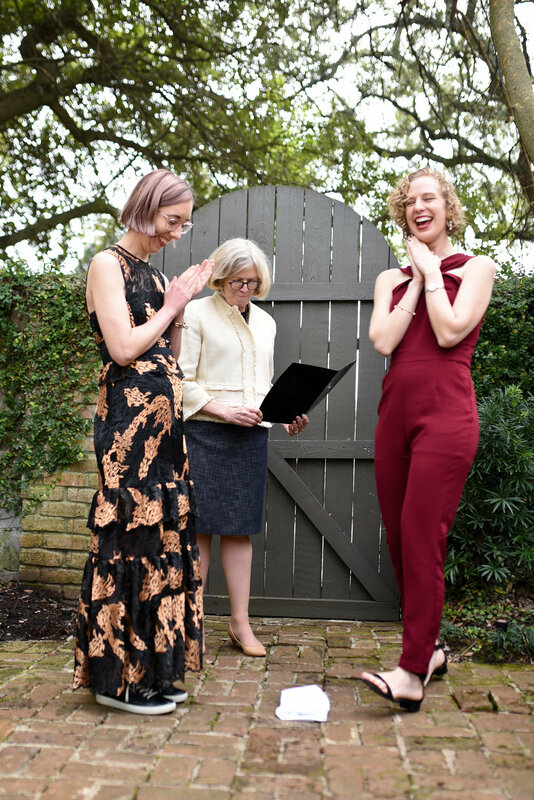 Though they now live in DC, the brides made their way to New Orleans to get married in this picturesque Garden District courtyard. A momentous memory for one of their family homes. 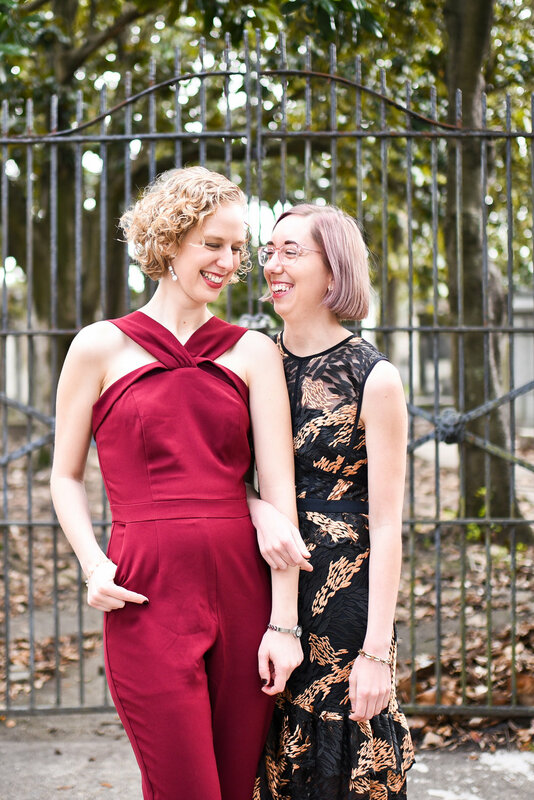 It was important for these lovely ladies to find another queer woman to photograph their wedding. I feel so special to have been a part of it. It was a heartfelt wedding with so many laughs and precious moments.